In today’s world of vigorous competition, it has been observed that the development of Information Technology and Automation in past few years has raised the capacity of companies to generate and collect a large amount of data. They have Database Management System (DBMS) to store a large amount of organizational data. But storing a large amount of data is not enough for company’s success, extracting value from that database is equally important. Deriving real value from previously stored data is crucial for company’s growth and this can be achieved with data mining. Data mining in DBMS (Database Management System) is used as a support system to facilitate effective functioning of the organization. 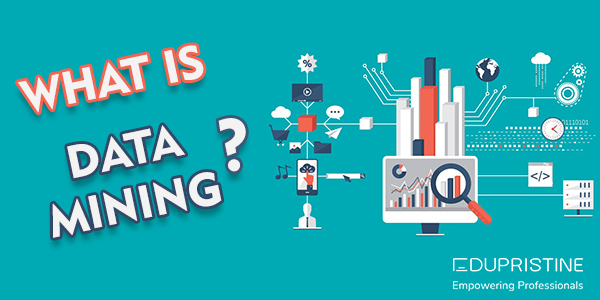 This is the reason that data mining concept and techniques are attracting the attention of various industries as it helps in extracting meaningful trends and patterns from a huge database. Let’s discuss in detail. It is the process of generating valuable information from the existing database of a company. It involves harvesting of meaningful patterns and trends from a huge database with the help of various software. It is simply a process of knowledge discovery; therefore, it is also called Knowledge Discovery in Data (KDD). It is a discovery of useful information and knowledge from a large dataset. The primary phase of data mining process is to understand the goals and objectives of the organization and identification of the problem. It involves business understanding and translation of business objectives into problem definition. In this phase data is collected, analyzed and quality problems of data are identified. Exploration of data is done with the help of traditional analysis tools such as Statistics (mean, mode, median, histogram, variance etc). In this phase, data is cleaned and transformed for the modeling process. It includes various transformation attributes like aggregation, smoothing, normalization, generalization, attribute construction etc. In this phase, various mathematical tools and modeling techniques are used to evaluate the model in order to get an optimal value. A high-quality model is prepared after the completion of the modeling process. In this phase, data mining experts evaluate the model. The experts evaluate the data patterns against the goals/ objectives of the business. Mining experts also ensure that all the business issues are considered in the model. In this final phase of deployment, data mining result is presented/ shipped to the company databases such as spreadsheets and to other business operations. Selecting the right technique is very important to get the desired result. Selection of techniques depends on the nature of the business and issues faced by the business. Classification technique is used to simplify and classify the data into groups. It is the most commonly used algorithms. It has basically two specializations viz. tree decisions and neural network. Clustering is similar to the classification technique of data mining. In this technique objects with similar characteristics are clubbed together in a class with the help of automation. Sequential pattern mining is a process of discovering and extracting the definite sequential patterns that shows the most repetitive behaviors in the database in a certain period of time. It is focused on the discovery of sequential patterns and analysis of sequential data. It is a process of detection of data items that do not comply with the general model of the dataset. It is also known as outlier analysis or outlier mining. This technique is very useful in fraud detection, fault detection, intrusion and in many more domains. It is one of the statistical tools used for data analysis. It is used in data mining to identify and analyze the relationship between the variables and to predict a number. As the name suggests, it is used to predict the future events on the basis of past trends. Prediction analysis techniques facilitate the deriving relationship between variables, analysis of trends, classification, matching of patterns. Association rules are meant to discover co-relation between the buying patterns of the customer with every transaction. This technique is basically used to know the customer buying behavior. Along with data mining techniques, there are a number of tools which help in data mining. Some of them are Orange, Rapid Miner, Oracle data mining, Weka, R, Rattle, KNIME, Apache Mahout etc. As data mining deals in extracting value from big data, it has great opportunities and scope in various sectors such as public sector, retail, manufacturing, healthcare, finance, telecommunication, transportation etc. Software can analyze huge data in minutes. The rapid growth of data has raised the demand for data mining professionals these days. The demand for data mining professionals is high as the companies are looking for data mining experts to generate valuable insights from their databases in order to remain competitive. Diving into the dimensions of data mining can lift you in the right-skillset of today’s technology. To become a expert, you need to enroll in various courses. These courses are available in both classroom and online forms. Online tutorials are also useful to get an insight into this topic. Those who are thinking of becoming a data mining professional have great opportunities ahead. From small to big organizations, hunt for data scientists and analysts is on. Thus, this domain is filled with the rise of technology and a good career boom including high salaries. So, if you are looking for a career in Data, there are many certifications to help you explore the boundaries of Data.